The Avengers, Iron Man, Spider-Man, Deadpool. Can we have enough super hero movies? Obviously not. Save money to see the latest box office hit in a Marvel money box. Or get comfy on the couch with a mug of hot chocolate to watch the DVD. 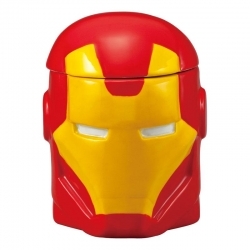 Iron Man 3D ceramic mug with lid. Height 11.5cm. Gift boxed. Licensed product. 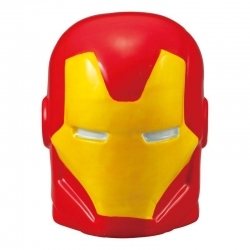 Iron Man ceramic money box. Height 11cm. Gift boxed . Licensed product. 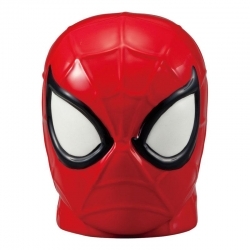 Spider-Man ceramic money box. Height 11cm. Gift boxed . Licensed product.